New for 2018, Aurora AOne Control is a smart lighting system that is Aurora Lighting’s first major venture into the exciting world of home automation. It is one of the first systems to be designed and manufactured by an actual lighting company. Providing consumers with the confidence that it’s going to function perfectly, with flicker free, smooth dimming results. If anything was to go wrong, like the LEDs flicker for example, something that still happens with some home automation and LED combinations, you’ve only got one company to contact. One company who’ve not only designed the lights but have also designed the lighting control system. What is AOne Smart Lighting? It’s a simplified home automation system, that is easy to install and easy to operate. Installations require no additional cables, no commission costs and no experience in smart lighting systems. With only three components currently in the range, it’s not going to be suitable for everyone. It doesn’t control power sockets, heating equipment, TVs or stereos; the range of components is limited. But its limitations are also its greatest strengths, if you’re looking for an affordable home automation system just for your lighting, a system that is easy to install and guaranteed to work with Aurora’s market leading downlights and lamps, then look no further. The Smart Hub – This connects into your router and provides the signal. It is available to order as part of a kit that also includes a remote control and an inline dimmer. The product code for the kit is: AU-A1ZRK1 . It’s also available to order with an additional set of 6x Aurora MPro downlights with a white bezel and 3000K colour temperature, the product code for that is: AU-A1ZKM6/30. We already stock the MPro in different colour temperatures and bezel options and don’t plan to stock this kit. The AU-HZB5A hub is also now available from stock. Remote Control – This handheld device also comes with a wall mounting station. It has 4 buttons and has switching, dimming, and scene setting functions. The product code for this is AU-A1ZBRC. Inline Dimmer – This is the part that is physically wired into your lighting circuit. It has a maximum load of 120W (of LED load). It is this item that takes the signal from either the App or the remote control and then sends the signal to the connected lights to dim or switch them. The product code is: AU-A1ZB120. Unlike some home automation systems that need a central processor or main control unit to do the controlling, the AOne Smart lighting system is controlled wirelessly via the hub or remote control. You don’t need to wire any extra CAT5 or special cables. Then you connect the hub to your router and begin setting it up on the App. Installation times can be done in just 15 minutes! Powered by Gooee which is an intelligent building control system, who are now in partnership with Aurora. 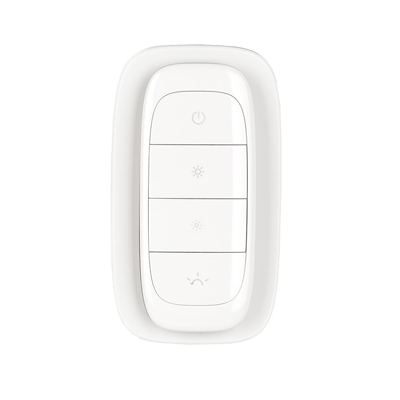 the AOne Smart lighting system works on the ZigBee wireless control protocol. Zigbee is the control protocol that is used in the Philips Hue and many other lighting brands are adopting this, in comparison to Z-wave which is losing the battle. Items controlled by Zigbee can allow the AOne system not just to be limited to lighting, allowing it to work with other third party equipment using APIs. This makes the AOne smart lighting system a more future proof option. Zigbee technology features a mesh network that allows signals to be transmitted from one receiver to another rather than having to transmit signals directly to and from the hub. This increases speed and control range which is up to 30 metres. Zigbee has the potential to allow almost any electronic item to be controlled remotely via Apps, programs or controllers with an internet connection. This is something called IoT (the Internet of things). It allows electronic items to communicate with each. More information about IoT can be found here. Suitable for use in homes and businesses, it gives you total control over your lighting. Using the App which is available on IOS (iPhone operating software) or Android, you can switch, dim, set scenes, create groups and use timer functions. Or combine the App capabilities with the remote control. This can be wall mounted or used as a handheld device. By wall mounting the remote control, you can use it to replace existing wall switches, so anyone can manually control the lights as they enter or leave a room. Alternatively you can control your lights from anywhere in the world, all you need is a Wi-Fi connection. For shops, offices and businesses this can give you complete control over your lighting without needing expensive dimming systems, timers and control cabinets that take up space. You don’t need the lights on at 100% all of the time and you can dim certain areas of the store and name them, with something that makes sense. As it’s the first home automation system to be designed and manufactured by a leading lighting company, it is guaranteed to work perfectly with the latest Aurora downlights and LED lamps. Compatibility is still one of the major hurdles to consider when choosing a home automation system and lighting combination. Some home automation manufacturers do a great job of testing LEDs. But although LEDs last for a very long time, they change rapidly within the marketplace making it difficult to keep up with the latest lighting products. They’ve tested many more of their products, the complete listed can be downloaded here. Just because it’s manufactured by Aurora Lighting, it’s not just designed solely for Aurora downlights. It will work with many other downlights and LED lamps on the market. If you’ve got existing lights and want an affordable home automation system then this is still a viable option. Aurora are currently in the process of testing more brands of LED downlights and lamps including Halers, JCC and Philips. Future updates are already in the pipeline that will make lighting control possible through voice activated systems like Amazon Echo and Google Home. Updates will be available via the cloud and will work with these original hubs. 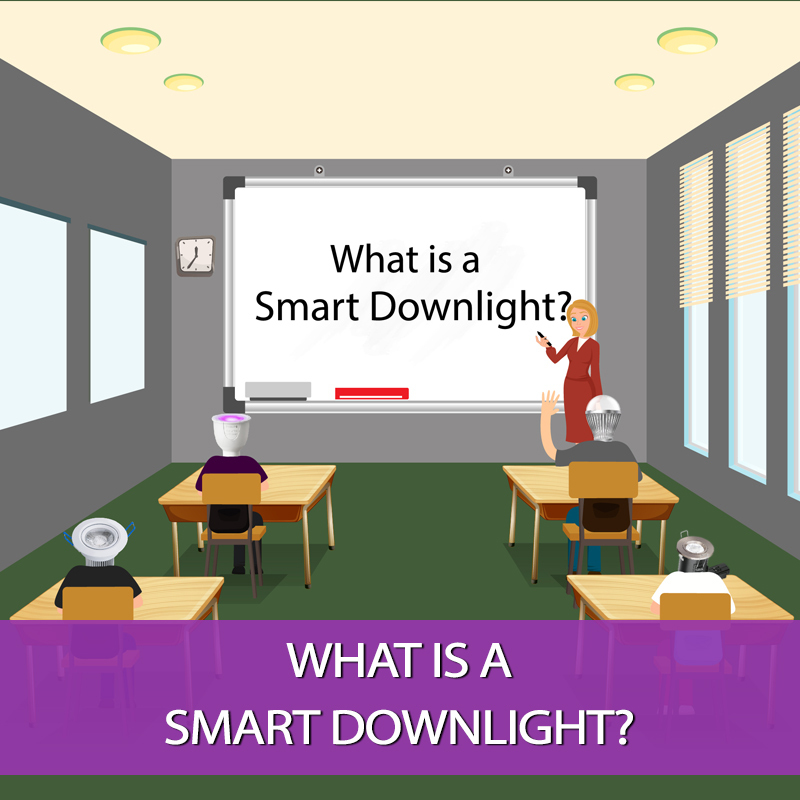 As an authorised Aurora Smart Centre, Downlights Direct can help with all of your AOne Control enquiries. From product selection and delivery to installation advice, our trained sales team can help you all the way.